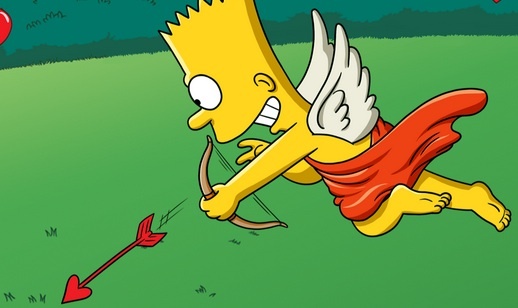 With Valentines' Day little more than two weeks away, Electronic Arts hopes fans will love the new update for The Simpsons: Tapped Out. Available for free, the downloadable content lets users send Valentines cards to their friends to collect hearts, which they can then cash in to decorate their virtual Springfields with exclusive limited time decorations. -New Buildings: Pick up some love handles a la mode at Phineas Q. Butterfat's, capitalize on insecure relationships at Howard's Flowers, and even lose some golf balls at Sir Putt-A-Lots. -New Characters: Send Shauna around searching for young love, get Homer and Marge to snuggle in the Golf Castle, and send Valentines with Lisa. -New Decorations: Sweeten up your Springfield with rose bushes, cherub topiaries, and the "I Choo-Choo-Choose You Train." -New Quests: Join Bart on his quest for love. Will Bart and Shauna enjoy a blossoming romance, or will Bart be left sulking in his room? -New Event: Visit your friends' towns, send Valentine's Day cards, and generate limited-time Heart currency.